Exclusive 100% discount for Wondershare Video Editor. The software that normally priced $49.99 is now absolutely free. Get the full license key Wondershare Video Editor during giveaway offer. The Wondershare Video Editor license key is available for Mac and Windows. 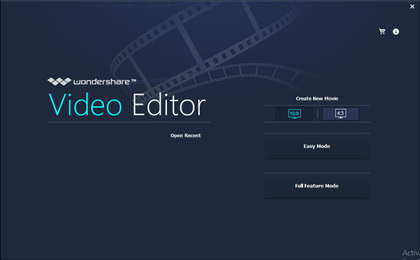 Wondershare Video Editor is easy to use video editing too that designed for home and professional users. The software support wide range video formats. It also can import videos from digital camera, camcorder, mobile device, etc. Update, new version Wondershare Video Editor is called Wondershare Filmora. The giveaway is available for a short time only. Read on the giveaway page to view more detail about Wondershare Video Editor free license offer and giveaway rule. Giveaway page Wondershare Video Editor: Visit the page! I’ve describes the steps requires below to get the full license key. Download the special installer for Wondershare Video Editor to use the code. Visit the giveaway page above if you are interested to download the software. Select the versions you want, Wondershare Video Editor for Windows or Mac. Enter name and email then click on “get keycode”. You’ll receive a license key with download link instantly and via email. After giveaway expires, you can buy the free license using coupon code and big discount. Available 25% off discount if buy using our coupon code. Update, new version Wondershare Video Editor now called Filmora. Wondershare Filmora comes with more powerful tool and futuristic GUI. Our coupon discount code is works to buy Wondershare Filmora. Wondershare Filmora is all-in-one powerful, fun, and easy video editor to create high-quality projects.